Author Johanne Yakula is an interior designer, heritage home consultant, and specialist in old house interiors and antiques. 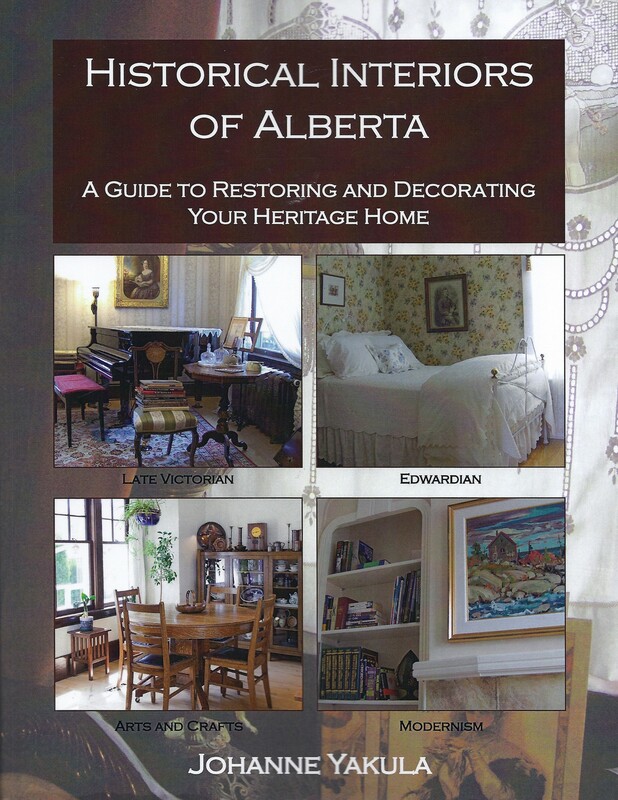 She travelled to four Alberta communities to find the period interiors featured in this book. Images of thirteen heritage homes in Alberta, each representing a particular style. This easy-to-navigate book is divided by era and style: Victorian, Edwardian, Arts and Crafts and Modernism. Each era is categorized according to rooms, followed by elements of style, so you can zoom in on exactly what you need. Information on the furniture, accessories, light fixtures, window treatments and much more so that you know how to add those finishing touches that make a heritage house a home. More than 200 full colour pictures so you can study the examples that are described in the book. It’s like having a personal consultation with the author – without the higher price tag!